$300 below NADA Retail!, FUEL EFFICIENT 32 MPG Hwy/23 MPG City! ONLY 48,409 Miles! Titanium trim. Heated Leather Seats, Power Liftgate, Turbo Charged Engine, ENGINE: 2.0L ECOBOOST, Aluminum Wheels. CLICK ME! Leather Seats, Power Liftgate, Heated Driver Seat. ENGINE: 2.0L ECOBOOST GVWR: 4,760 lbs, 3.07 Axle Ratio. Rear Spoiler, MP3 Player, Aluminum Wheels, Remote Trunk Release, Keyless Entry, Privacy Glass, Child Safety Locks. 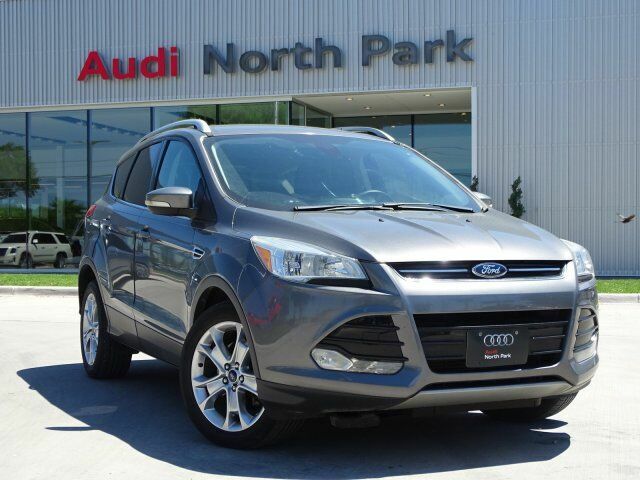 Edmunds.com explains "The 2014 Ford Escape is one of our favorite small crossover utility vehicles, thanks to athletic driving dynamics, an inviting cabin and useful high-tech features.". This Escape is priced $300 below NADA Retail.